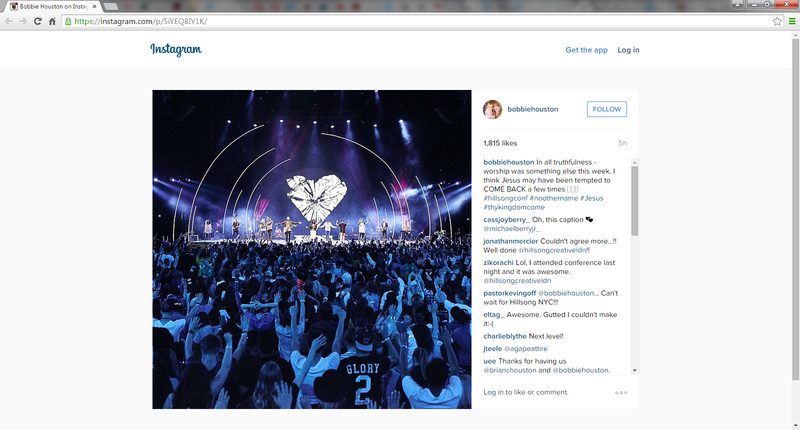 Bobbie Houston speaking “in all truthfulness” about Hillsong tempting Jesus’ return? Home › Hillsong › Bobbie Houston speaking “in all truthfulness” about Hillsong tempting Jesus’ return? The more heretics and blasphemers insist they are speaking the truth, the more you can expect them to make an outrageous claim. The stupidity behind this comment once again exposes that Hillsong leaders like Bobbie Houston have no clue who Jesus is nor knows how he will return in the last days. Jesus Himself said that he did not know when He will return but only His Father will know the day. Christ cannot return to earth through any form of temptation. The above scripture highlights the fact that Jesus submits to the Word and will of His Father. Jesus neither submits to temptation whether it be from Satan or us. It only goes to prove that truth means nothing to Hillsong except to sell their own vain imaginings to gullible Christians. ‹ The EIC interview Hillsong’s slick marketing Prophet. And so is this rendition of Mighty to Save by Michael P Vigilante III.